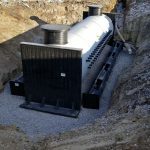 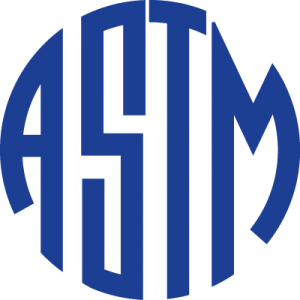 Infra Pipe Energy Geothermal Vaults are manufactured with high density polyethylene Weholite pipe which conforms to ASTM F894 and combined with high quality components to provide the most efficient and long lasting geothermal vault in the market place. 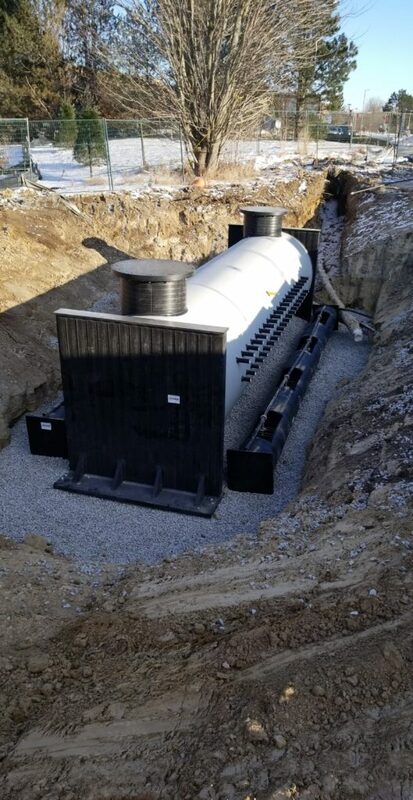 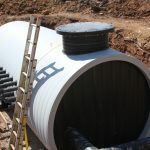 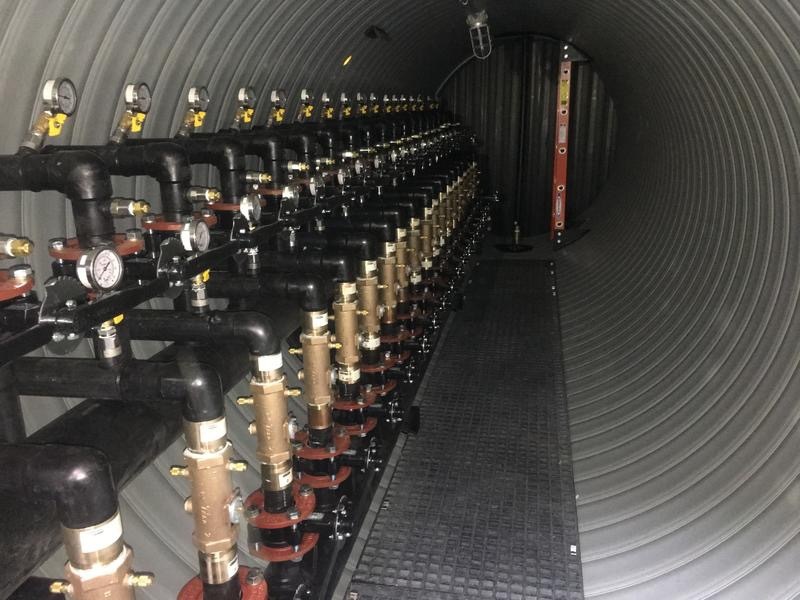 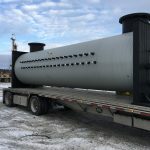 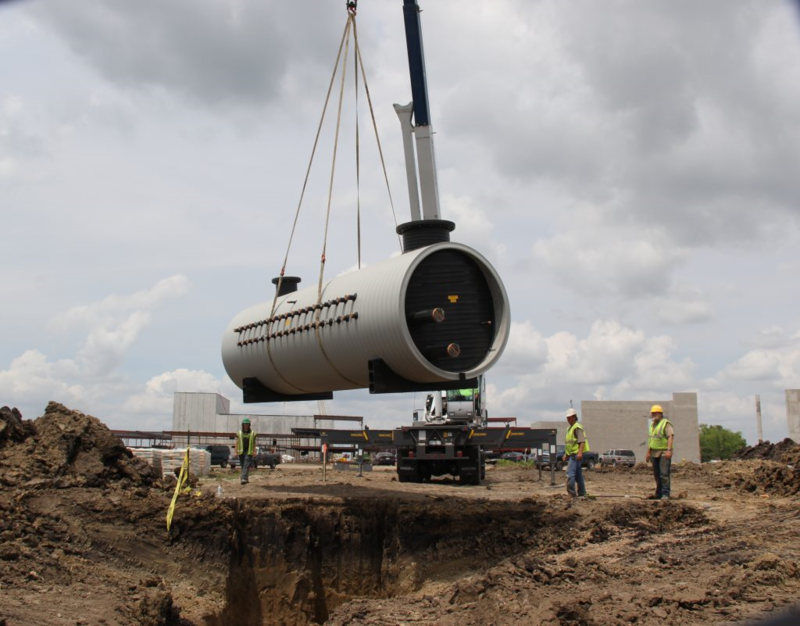 The Infra Pipe Geothermal Vaults and Manifold Vaults can be custom fabricated to meet the client's project specific needs and are leak tested before shipment. 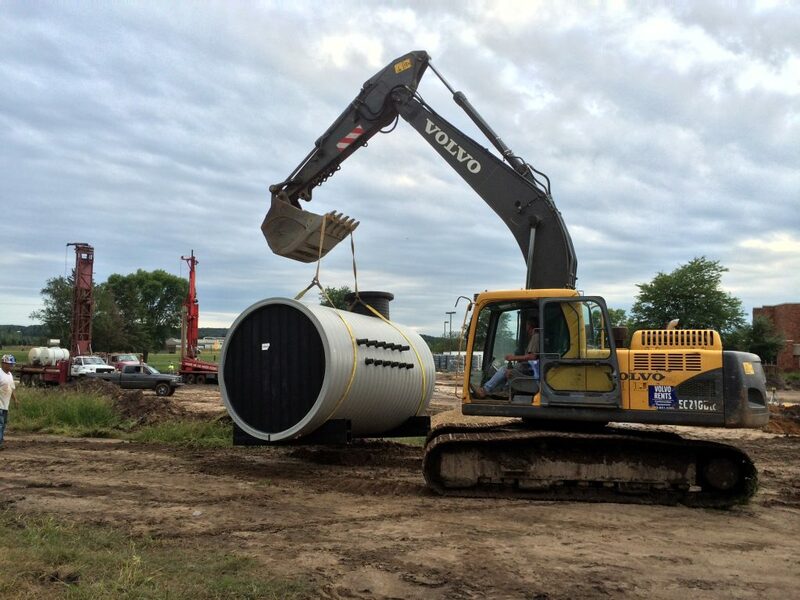 Geothermal vaults come prefabricated from Infra Pipe's manufacturing facilities, which help reduce cost and installation time for installers. 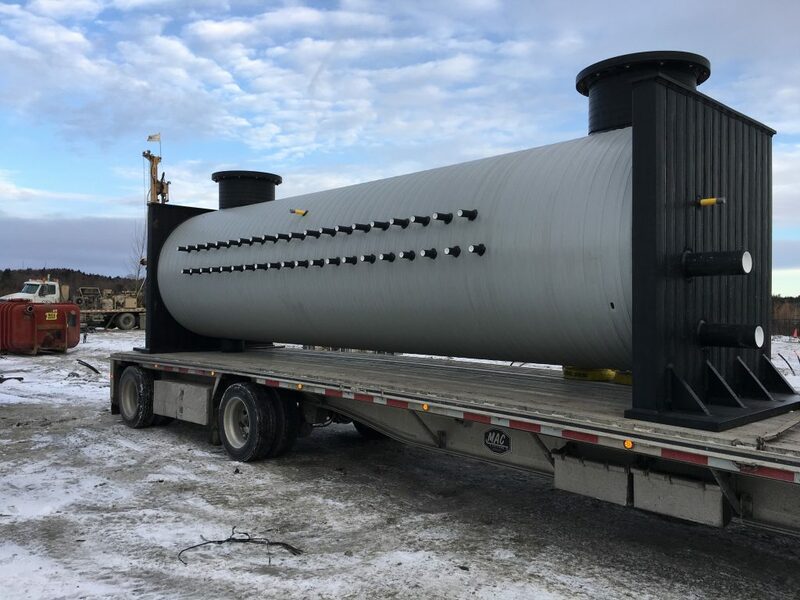 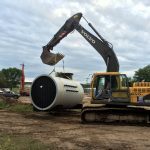 With more than 50 years of experience as a manufacturer of HDPE pipe, Infra Pipe has the know how required to fabricate high quality geothermal manifolds for your geothermal needs. 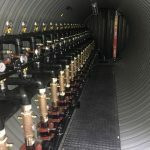 Infra Pipe's geothermal manifold systems can be used for residential and commercial applications. 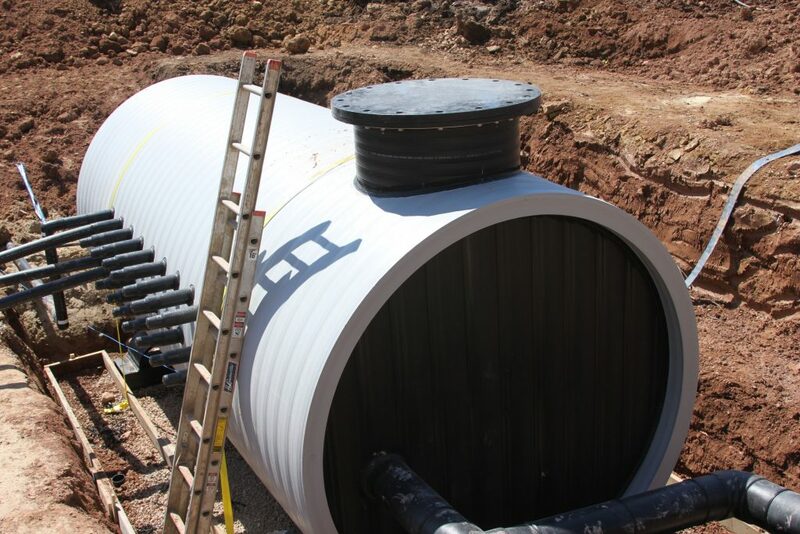 Vault Size 72" to 132"
(1) Pedestrian load rating standard. 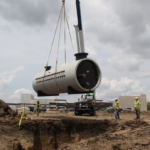 H20 highway load rating available.